Communication is the key to a great relationship, but it’s a myth that divulging every detail equals a healthier bond. 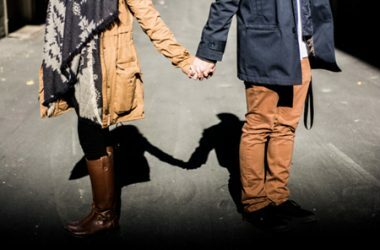 “Even though you’re part of a twosome, your relationship will thrive if you maintain a private side,” says Marti Olsen Laney, PsyD, in her book, The Introvert and Extrovert in Love. 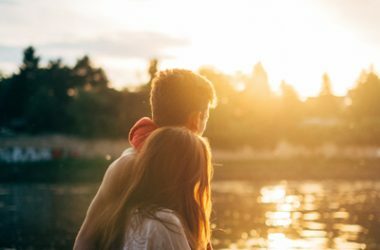 “Plus, some things might hurt your partner, so keeping them quiet prevents needless stress on your bond.” Here are Olsen Laney’s five most important secrets to keep from your sweetie. Your partner knows you didn’t spend your days in a convent or monastery pre-relationship, but that doesn’t mean they want mental images of you getting frisky with old flames. Men may ask about other dudes, but what they’re fishing to hear is that they’re the best. Avoid lying by not answering questions about your sexual past. When he does dig, tell him he’s the only one you can think about. It’s easy for a girl to feel insecure in a relationship, so when she starts prying, most likely it’s because she wants to know she’s the only one. Avoid conflict by reassuring her before she starts asking questions. As long as you don’t share funds, your partner doesn’t need to know where your dough goes. It stresses out guys to see a girl spend on things they deem unnecessary, like clothes or shoes, and girls get annoyed when their boyfriend spends his cash on a new video game or other tech toy, but then shies away from taking her to a nice dinner that weekend. The quick fix: When he or she compliments something of yours, don’t give them the rundown on where you got it and how much it cost. Warning: Dissing your honey’s clan will do damage to your relationship. So even if his mom is the Wicked Witch of the West, or if her dad won’t stop giving you the evil eye, keep your mouth shut. The minute you say something slightly negative, your partner will feel like you’re making him or her choose between you and them and will resent you for it. If the relatives are truly awful, avoid being around them whenever you can. You love your partner, but that doesn’t mean you don’t chat up other people. In fact, being flirty is healthy as long as it doesn’t go further. It may be tempting to brag that you still get attention, especially if you feel your partner takes you for granted, but telling them about the neighbor who checks you out iis just going to make your partner feel insecure. Keep quiet, and take pleasure in the fact that you’ve still got it going on. You’re bound to get a few gifts from your partner. Instead of slamming them, find one good thing about each present. A gift is their way of saying they care. If you reject it, you reject them. Next time, drop hints so he or she gets you something you like, for example, mention a store you love, or make a comment when you see something you like on TV. Previous ArticleThe Comic Pusher: Silver Surfer: RequiemNext ArticleYour word against theirs: critics or quacks?